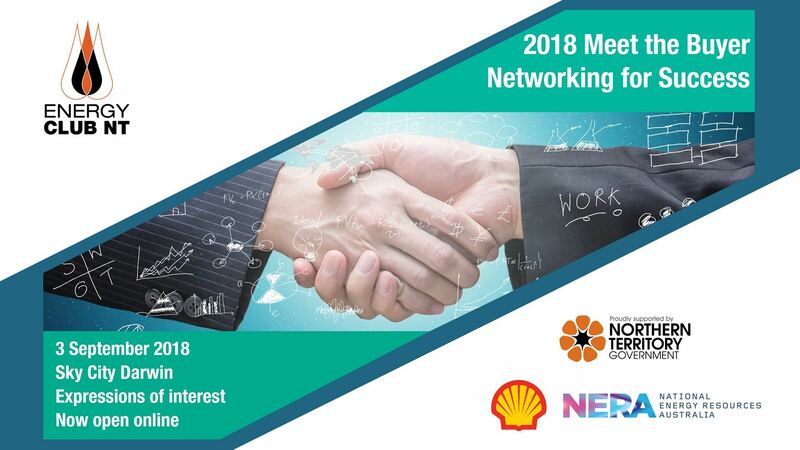 Don't miss your chance to network directly with Operators and Tier one contractors from across the energy industry at this exclusive event promoting NT businesses. The Meet the Buyer event brings together relevant operators and contractors across the energy industry to learn about the extensive NT Service and supply capacity and take the opportunity to meet SME businesses face to face in a speed networking format. Meet the Buyer will be held in the opening of NT Resources Week and provides added value and profiling opportunity moving into a busy conference program. Selected energy industry representatives from over 20 Buyers, including commercial and procurement teams, will meet with the SME's to allow a comprehensive overview of local capability and service offering available from NT businesses. Understanding opportunities, presenting a strong capability and focusing on building strong relationships as major projects progress will assist SME’s to developing a strategy for long term growth and success. As part of our plan to support NT local content, PCNT has a core focus on networking and continuing to provide engagement opportunities for all of our membership demographic. Registration for the Meet the Buyer event is strictly limited. Preference will go to businesses that have a local office with at least one representative based in Darwin and existing ECNT members. Its encouraging to note that Australia is on the way to becoming a major player in the international LNG market and the Territory is building its capacity to become a recognised global oil and gas hub. NT looks forward to the completion of the INPEX Ichthys project, expansion plans for Darwin LNG plant operated by ConocoPhillips, the launch of Shell Prelude into production phase, the construction of the Northern Gas Pipeline, and now the potential for the onshore gas industry heralding a future for gas development, processing and supply operations. Please complete an expression of interest form for consideration to participate in this years event. Confirmation will be made as soon as possible.